We are happy to inform you about the history of the nursery Lathyrus.nl, our method of working and the sales of our Lathyrus flowers. Growing Lathyrus is our family passion; two brothers and a brother-in-law grow Lathyrus too. After working one year in Lathyrus on the nursery of my brother-in-law, I started my own Lathyrus nursery as Kwekerij Hoogeveen to grow Lathyrus outside at the Paradijsweg in Ter Aar (The Netherlands) in 1992. 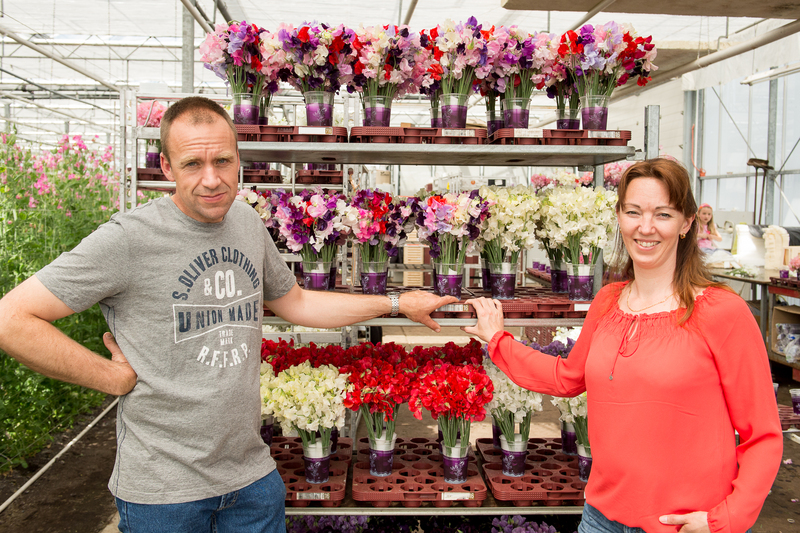 In 1993 the company continued the activities in a rented greenhouse in Aalsmeer and in 1996 we moved to an own greenhouse in the village Nieuwveen. Since 2002 our main branch is established at the Floraweg in Roelofarendsveen, The Netherlands. Furthermore we have another location especially used for the propagation of Lathyrus. 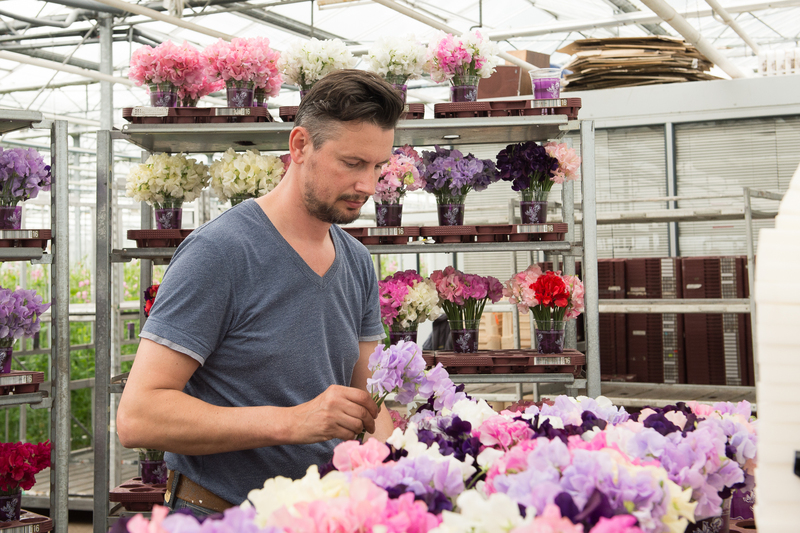 The first year we started with a production of 20.000 stems in two colours and this expanded to the present yearly production of about 3,5 million stems in almost all colours. In 2015 the trading name “Kwekerij Hoogeveen” was changed into “Lathyrus.nl”. This plant is related to the papilionaceaous plants and owes the name Odoratus to the characteristic strong scent that the flowers spread. 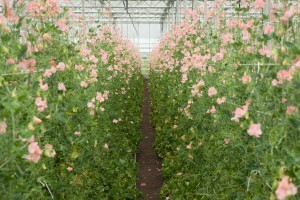 We grow our Lathyrus on a traditional way in the open ground in the greenhouse. Lathyrus has a high resistance to diseases, plagues and insects. Therefore we can grow on a very environment-friendly way. The culture starts with sowing the seeds in seed-trays. After two weeks the material is planted out in the greenhouse. Once the plants are 10 weeks old the first flowers appear and we can start harvesting. During the harvest of the Lathyrus the flowers get a special treatment to lengthen the durability considerably. We grow Lathyrus Odoratus almost year-round, from mid-February up to and including December. Our assortment contains almost all colours. Yearly we harvest about 3,5 million stems. From April up to and including June the production is at its peak. In this period around 120.000 stems are being harvested every week. 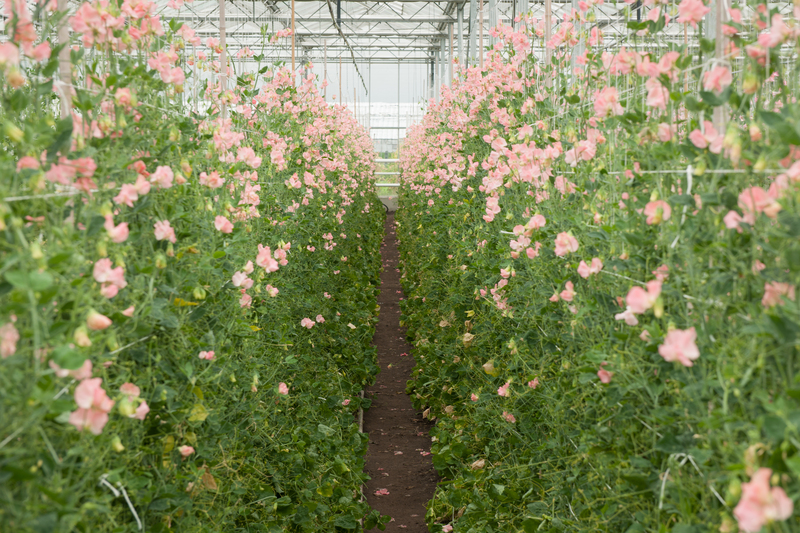 The Lathyrus is mainly sold through the flower auctions Rijnsburg and Naaldwijk in The Netherlands and reaches the whole world from Japan to America because of its good quality. Of course you can order the Lathyrus directly with us by mail and phone. Payments take place through FloraConnect.